After teaching with many English courses online for the past couple of years I know that English learners want courses that are fun and that work. So with that in mind I created an English course that is special; something totally different. Most English courses online have exercises, audio lessons, comprehension questions and so will mine, but "It's English Time" goes even further. What is so special about this course then? Well, this course breaks the rules and helps you understand real English. 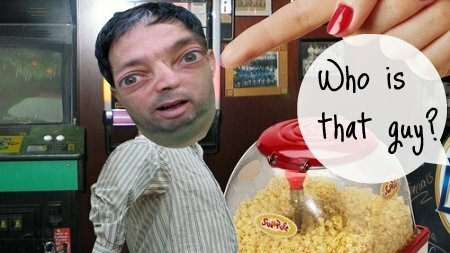 Thanks to Bettina, I discovered Jerry and Orrin Zucker's online videos and I'm now officially collaborating with them to create a unique and challenging English course. How do you think most English courses online are created? Generally speaking, companies or teachers take English grammar points, divide the grammar into sections and then create videos, audio and exercises to help you learn that grammar. Do I like that process? Well, to be honest I think it is totally backwards. Shouldn't you be learning grammar, expressions, vocabulary and phrasal verbs to help you understand real life English? So that is what I am doing with the Zucker brother's videos. Creating an interesting, fun and effective English course to learn real English. Click here to read Carmen and Carlos' honest opinions and feedback about the course as they use it. If the course sounds interesting, you will be happy to know that it is now available. Click here for more details! I'd like to share part of the first unit with you (for free), so you can get a taste of what the course includes. 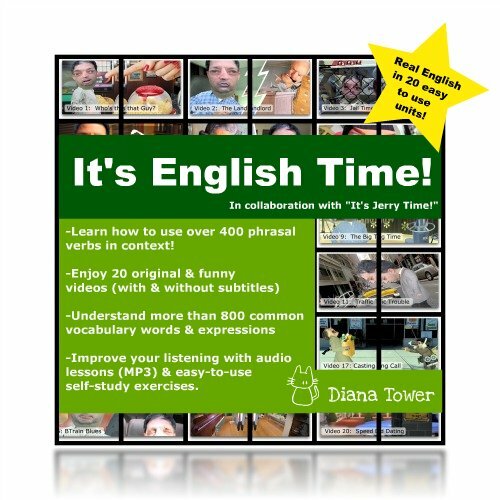 "It's English Time" is now available here. Click here to watch the video in a new window. Then while listening, try to fill in the blanks below. Look at this. You know what this is? This is a ______1______ from me ______2______ weights and like getting my hand ______3______ in between the weight? I go for a workout three times a week now. Afterwards I have to drive home and there’s a whole _____4_______ of junk food restaurants on the way back. I ended up going to Hennessey’s a ______5______ of weeks ago. This is the first time I went there since they opened up and they ______6______ into a bar. So I walked in. I was just looking around because they ______7______ changed it so much. There was like this big bar in the _____8_______ of the room and off to the side was this popcorn machine. The rest of the exercise and much more are available in the complete course.